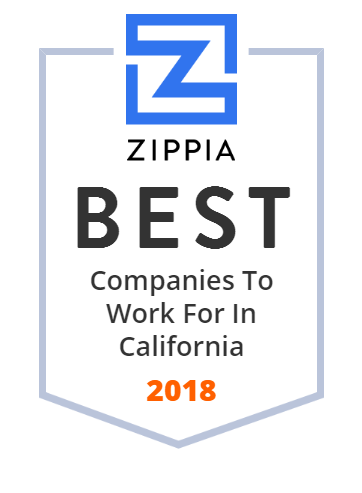 We hand-curated a list of the best companies to work for headquartered in and around California using data on salaries, company financial health, and employee diversity. Twitter, Inc. operates as a platform for public self-expression and conversation in real time. Twitter allows users to consume, create, distribute, and discover content and its mobile application Periscope enables users to broadcast and watch video live with others. Twitter has offices in Atlanta, Boston, Boulder, Chicago, Cincinnati, Detroit, Los Angeles, Miami, New York, San Francisco (Headquarters), Seattle, Sunnyvale, Washington. DC along with more than 35 offices worldwide. Twitter was founded in 2006 and is available in more than 35 languages. Equinix, Inc. is an American multinational company headquartered in Redwood City, California, that specializes in internet connection and related services. VMware, Inc. is a subsidiary of Dell Technologies that provides cloud computing and platform virtualization software and services. It was one of first commercially successful company to virtualize the x86 architecture. Facebook, Inc. is an American online social media and social networking service company based in Menlo Park, California. Adobe, established in 1982, is the global leader in digital media and digital marketing solutions. Tools and services by Adobe enable its customers to create digital content, deploy it across media and devices, and then continually measure and optimize it based on user data. Adobe's mission is to change the world through digital experiences. The company has over 10,000 employees and has its headquarters in San Jose, CA. eBay, established in 1995, is a global commerce platform leader. The company's Marketplace platforms include its online marketplace at ebay. Com and the eBay mobile apps; and StubHub platforms comprise its online ticket platform at stubhub. Com. eBay connects millions of buyers and sellers around the globe. They equip sellers with the tools, solutions and support they need to grow their businesses and thrive. The company has over 14,000 employees and is based in San Jose, CA. Informatica is a software development company founded in 1993. It is headquartered in Redwood City, California. Its core products include Enterprise Cloud Data Management and Data Integration. It was co-founded by Gaurav Dhillon and Diaz Nesamoney. Anil Chakravarthy is the company's CEO. Intuit Inc. is a business and financial software company that develops and sells financial, accounting, and tax preparation software and related services for small businesses, accountants, and individuals. The company is headquartered in Mountain View, California. More than 95% of its revenues and earnings come from its activities within the United States. Broadcom Inc. is a diversified global semiconductor leader built on 50 years of innovation, collaboration and engineering excellence. This company's extensive product portfolio serves multiple applications within four primary end markets: wired infrastructure, wireless communications, enterprise storage and industrial and others. Applications for their products in these end markets include data center networking, home connectivity, broadband access, telecommunications equipment, and more. Workday, Inc. is an on‑demand (cloud-based) financial management and human capital management software vendor. It was founded by David Duffield, founder and former CEO of ERP company PeopleSoft, and former PeopleSoft chief strategist Aneel Bhusri following Oracle's hostile takeover of PeopleSoft in 2005. In October 2012, it launched a successful initial public offering that valued the company at $9.5 billion. Cepheid Inc (NASDAQ: CPHD) is an American molecular diagnostics company that develops, manufactures and markets fully integrated systems for testing in the clinical market, and for application in its original non-clinical market. The company's systems enable rapid, sophisticated molecular testing for organisms and genetic-based diseases by automating otherwise complex manual laboratory procedures. It was the winner of 2006 Industrial Design Excellence Awards for its product, Reagent Bead Dispenser. It won the federal contract by "MRSA Reagent Test Kits" in 2012. One of the company's customers is U.S. Food and Drug Administration (FDA). Danaher acquired Cepheid on November 4, 2016. Salesforce is the Customer Success Platform that, along with social and mobile cloud technologies such as flagship sales and CRM applications, helps companies connect with customers, partners, and employees. Its innovative cloud-based platform and great customer service helped Salesforce become the world's fourth-largest software company. The company was founded in 1999 and is based in San Francisco, CA. Shutterfly, Inc. is an American Internet-based company based in Redwood City, California specializing in image publishing service. Actian was a computer software company headquartered in Palo Alto, California, whose history is most closely associated with the Ingres database; Actian announced in April 2018 that it will be acquired by Indian-based HCL Technologies for $330 million. NetApp, Inc. is a hybrid cloud data services company headquartered in Sunnyvale, California. It has ranked in the Fortune 500 since 2012. Founded in 1992 with an IPO in 1995, NetApp offers hybrid cloud data services that simplify management of applications and data across cloud and on-premises environments to accelerate digital transformation. Microsemi Corporation was an Aliso Viejo, California-based provider of semiconductor and system solutions for aerospace & defense, communications, data center and industrial markets. Xilinx develops highly flexible and adaptive processing platforms. Xilinx is the inventor of the FPGA, hardware programmable SoCs and the ACAP (Adaptive Compute Acceleration Platform) that deliver the most dynamic processor technology in the data center (compute, storage and networking); wireless/5G and wired communications; Automotive/ADAS; emulation & prototyping, and other markets. Xilinx has a team of over 4000 people. The company was founded in 1984 and is headquartered in San Jose, California. Fortinet is an American multinational corporation headquartered in Sunnyvale, California. Genesys, (also known as Genesys Telecommunications Laboratories, Inc.), is a company that sells customer experience and call center technology to mid-sized and large businesses. It sells both cloud-based and on-premises software. Genesys is headquartered in Daly City, California, and has offices in Canada, Latin America, Europe, the Middle East, Africa, Asia, and Australia. The company was founded in 1990 and was most recently acquired by Permira Funds and Technology Crossover Ventures in February 2012. Proofpoint is an enterprise security company based in Sunnyvale, California that provides software as a service and products for inbound email security, outbound data loss prevention, social media, mobile devices, digital risk, email encryption, electronic discovery ("eDiscovery”), and email archiving. It claims over half of the Fortune 100 as users of its solutions. FICO, established in 1959 in San Jose, CA, provides analytics software and tools used across multiple industries to manage risk, fight fraud, build more profitable customer relationships, optimize operations and meet strict government regulations. The company gained leadership in many industries by using Big Data and mathematical algorithms to predict customer behavior. FICO serves financial services, health care, insurance, automotive, public sector, retail, pharmaceuticals, telecommunications industries and has more than 3,400 employees worldwide. Hulu (stylized as hulu /ˈhuːluː/) is an American entertainment company that provides over-the-top media services owned by Hulu LLC, a joint venture with The Walt Disney Company (holds 30% stake), 21st Century Fox (holds 30% stake), Comcast (via NBCUniversal; holds 30% stake), and AT&T (via WarnerMedia; holds 10% stake). Through a proposed acquisition announced in December 2017, Disney will acquire Fox's partial ownership, giving it a majority stake if the deal closes. Alphabet Inc. is an American multinational conglomerate headquartered in Mountain View, California. Marketo, Inc. is a software company focused on account-based marketing, including email, mobile, social, digital ads, web management, and analytics. Palantir Technologies is a private American software company that specializes in big data analytics. Ingram Micro helps businesses fully realize the promise of technology(tm)--helping them maximize the value of the technology that they make, sell or use. With its vast global infrastructure and focus on cloud, mobility, technology lifecycle, supply chain and technology solutions, Ingram Micro enables business partners to operate more efficiently and successfully in the markets they serve. This trusted company has around 10,000 employees and nearly $1 billion in revenue. Yahoo! is a web services provider headquartered in Sunnyvale, California and owned by Verizon Media. LinkedIn is a business and employment-oriented service that operates via websites and mobile apps. 1451 The Hewlett-Packard Company or Hewlett-Packard was an American multinational information technology company headquartered in Palo Alto, California. Synaptics ignited the human interface revolution. Their touch, display and biometrics products are built on the company's storied research and development, extensive intellectual property and global partnerships. With solutions designed to optimize the user experiences in the mobile, PC and automotive industries, Synaptics combines ease of use, functionality and aesthetics to enable products that help make users' digital lives more productive, secure and enjoyable. Founded in 2009 and headquartered in San Francisco, Thumbtack is a local services marketplace that connects customers with the right professionals for anything they need done. This company helps people plan their perfect wedding, families improve their homes, and small businesses grow and thrive. Thumbtack today has 1,100 types of services, millions of customer requests, and hundreds of thousands of paying professionals. Pure Storage is a Mountain View, California-based enterprise data flash storage company founded in 2009. Guidewire Software Inc., commonly Guidewire, is a software publisher based in Foster City, California. It offers core back-end software for property and casualty (P&C) insurance carriers in the U.S. and worldwide, as well as the Guidewire Live suite of online analytics services for P&C insurers. Square, Inc. provides payment and point-of-sale solutions in the United States and internationally. Square helps sellers of all sizes start, run, and grow their business. Founded in 2009 and headquartered in San Francisco, Square has additional offices in New York, Atlanta, St. Louis, Kitchener-Waterloo, Dublin, London, Toronto, Melbourne, and Tokyo. Box, Inc., based in Redwood City, California, is a cloud content management and file sharing service for businesses. Align Technology is a global medical device company active in the orthodontics market that develops products such as Invisalign aligner treatments, iTero(tm) intra-oral scanners, and OrthoCAD digital services. The company's goal is to help dental professionals achieve the clinical results they expect and deliver effective, advanced dental options to their patients. Align Technology was founded in 1997 and is headquarted in San Jose, CA. Ellie Mae, Inc. is a software company that processes 35% of U.S. mortgage applications. The services are based on a software as a service model (SaaS) that streamlines and automates the process of originating and funding new mortgage loans and facilitating regulatory compliance. The company was founded in 1997 by Limin Hu and Sigmund Anderman and is headquartered in Pleasanton, California. Synopsys is an American company. Synopsys's first and best-known product is Design Compiler, a logic-synthesis tool. Synopsys offers a wide range of other products used in the design of an application-specific integrated circuit. Products include logic synthesis, behavioral synthesis, place and route, static timing analysis, formal verification, hardware description language (SystemC, SystemVerilog/Verilog, VHDL) simulators as well as transistor-level circuit simulation. The simulators include development and debugging environments which assist in the design of the logic for chips and computer systems. In recent years Synopsys has also expanded into the application security market. Zendesk Inc. is a Danish customer service software company headquartered in San Francisco, California, USA. It is listed on the New York Stock Exchange with the symbol ZEN and is a constituent of the Russell 2000 Index. Founded in 2007, Zendesk had 2,000 employees and served 119,000 paying customers in 150 countries and territories as of 2017. Rambus Incorporated, founded in 1990, is an American technology licensing company, and has also been labelled as a patent troll. The company became well known for its intellectual property-based litigation following the introduction of DDR-SDRAM memory. RingCentral is a publicly traded provider of cloud-based communications and collaboration solutions for businesses. Autodesk, Inc. is an American multinational software corporation that makes software for the architecture, engineering, construction, manufacturing, media, and entertainment industries. Autodesk is headquartered in San Rafael, California, and features a gallery of its customers' work in its San Francisco building. The company has offices worldwide, with U.S. locations in Northern California, Oregon, Colorado, Texas and in New England in New Hampshire and Massachusetts, and Canada locations in Ontario, Quebec, and Alberta. SS&C Advent delivers a vast global portfolio of technology applications and services to more than 10,000 financial services organizations worldwide. SS&C Advent is helping over 4,300 investment firms in more than 50 countries to grow their business. The company was founded in 1983 in San Francisco, CA, and has offices in New York, NY, Jacksonville, FL, and Boston, MA. Hewlett Packard Enterprise Company (commonly referred to as HPE) is an American multinational enterprise information technology company based in Palo Alto, California, founded on 1 November 2015 as part of splitting of the Hewlett-Packard company. HPE is a business-focused organization with two divisions: Enterprise Group, which works in servers, storage, networking, consulting and support, and Financial Services. A market-leading manufacturer of innovative optical and photonic products enabling optical networking and commercial laser customers worldwide. Imperva is a cyber security software and services company which provides protection to enterprise data and application software. The company is headquartered in Redwood Shores, California. Natera is a genetic testing company that operates a CLIA-certified laboratory in San Carlos, California. QAD is a company that provides enterprise resource planning (ERP) software to manufacturing companies. ai is a customer experience software and services company that uses artificial intelligence and machine learning to understand consumer intent. Cavium, Inc., founded in 2000, designs, develops, and markets semiconductor processors that enable intelligent networking, communications, storage, video and security applications. Cavium's principal offices are in San Jose, California with design team locations in Massachusetts, India, Taiwan and China. The company designs specialized microprocessors used in secure network transmissions, based on processor technology developed by ARM and MIPS Technologies. The company is currently acquired by Marvell Technology Group Ltd.
ReachLocal offers comprehensive digital marketing services to help businesses reach their customers. This innovative company connects local businesses with more customers by working with top global brands that power all the places consumers search, surf, and socialize online. ReachLocal offers solutions such as local listings management, web presence and content marketing and more. Established in 2004, this company has around 10,000 employees and up to $1 billion in revenue. Silver Spring Networks, a subsidiary of Itron, is a provider of smart grid products, headquartered in San Jose, California, with offices in Australia, Singapore, Brazil, and the United Kingdom. Besides communications devices, Silver Spring Networks develops software for utilities and customers to improve energy efficiency. Founded in 2002 backed by venture capital, Silver Spring Networks went public on the New York Stock Exchange on March 13, 2013. Itron acquired Silver Spring Networks in January 2018 for $830 million. New Relic is an American software analytics company based in San Francisco, California. Symantec Corporation is an American software company headquartered in Mountain View, California, United States. Real estate investment & property management software for commercial, multifamily, residential, affordable, public, senior, industrial, & retail markets. Riverbed Technology, Inc. is an American information technology company. Its products consist of software and hardware focused on network performance monitoring, application performance management, edge computing, Wi-Fi and wide area networks (WANs), including SD-WAN and WAN optimization. CEVA is a publicly listed semiconductor intellectual property company, headquartered in Mountain View, California and specializes in digital signal processor technology. Ruckus Networks, an ARRIS company, is a company selling wired and wireless networking equipment and software, headquartered in Sunnyvale, California. Coupa Software is a global technology platform for Business Spend Management. Splunk Inc. Splunk's mission is to make machine data accessible across an organization by identifying data patterns, providing metrics, diagnosing problems, and providing intelligence for business operations. NetSuite Inc. is an American cloud computing company founded in 1998 with headquarters in San Mateo, California, that provides software services to help manage business finances, operations, and customer relations. Western Digital Corporation develops, manufactures, and sells data storage devices and solutions worldwide. It offers its customers hard disk drives (HDDs) and solid state drives (SSDs), flash-based embedded storage products for computing devices, such as desktop and notebook PCs, security surveillance systems, gaming consoles, and set top boxes, and other products. Western Digital solutions are marketed under the G-Technology(r), HGST, SanDisk(r), Tegile(r), Upthere(r) and WD(r) brands. The company was founded in 1970 and is headquartered in San Jose, California. Nutanix, Inc. develops and provides an enterprise cloud platform in North America, Europe, the Asia Pacific, the Middle East, Latin America, and Africa. The Nutanix solution enables easy deployment of any virtual workload, including large-scale virtual desktop initiatives (VDI), development/test apps, private clouds, big data (Hadoop) projects and more. It serves customers in a range of industries, including automotive, consumer goods, education, energy, financial services, healthcare, manufacturing, media, public sector, retail, technology, etc. The company was founded in 2009 and is headquartered in San Jose, California. SAP Ariba is an American software and information technology services company located in Palo Alto, California. 8x8 Inc. is a provider of cloud communications and customer engagement solutions. 8x8 solutions include cloud-based voice, contact center, video, mobile and unified communications for small, medium to enterprise businesses. Cabinet Solutions Cabinet Design Software with 3d, CNC Exporting, Job Costing, Cut List, Panel Optimization and more. Seagate Technology PLC is an American data storage company. Pandora is the world's most powerful music discovery platform. It is a place where artists find their fans and listeners find music they love, and this organization aims to create a world inspired through listening. Founded by musicians, Pandora empowers artists with valuable data and tools to help grow their careers and connect with their fans. TiVo Corporation (formerly Rovi Corporation and Macrovision Solutions Corporation) is an American technology company. Headquartered in San Jose, California, the company is primarily involved in licensing its intellectual property within the consumer electronics industry, including digital rights management, electronic program guide software, and metadata. The company holds over 6,000 pending and registered patents. The company also provides analytics and recommendation platforms for the video industry. Guidance Software, now OpenText, is the maker of EnCase , the gold standard in forensic security. Guidance Software provides deep 360-degree visibility across all endpoints, devices and networks with field-tested and court-proven software. Model N, Inc. is a public American software company founded in 1999 and headquartered in San Mateo, California. The name "Model N" refers to "model next", as in 'the next big thing', according to founder Zack Rinat. The company's focus is on revenue management software, based on developments by Rinat, initially for pharmaceutical and medical device companies. AppDynamics is a application performance management and IT operations analytics company based in San Francisco. Stripe is a technology company. Its software allows individuals and businesses to receive payments over the Internet. FormFactor, Inc. (NASDAQ:FORM), is a leading provider of essential test and measurement technologies along the full IC life cycle - from characterization, modeling, reliability, and design de-bug, to qualification and production test. Cloudflare, Inc. is a U.S. company that provides content delivery network services, DDoS mitigation, Internet security and distributed domain name server services. Cloudflare's services sit between the visitor and the Cloudflare user's hosting provider, acting as a reverse proxy for websites. Cloudflare's headquarters are in San Francisco, California, with additional offices in London, Singapore, Champaign, Austin, Boston and Washington, D.C.
We value people for each of the aspects that make them whole. We believe that people should not be defined only by a job title. And, just like our product, we honor each of the experiences that build our people. At Medallia we hire the whole person, not just a part of them. KB Home is a homebuilding company based in the United States, founded in 1957 as Kaufman & Broad in Detroit, Michigan. It was the first company to be traded on the NYSE as a home builder and was a Fortune 500 company from 2000 through 2008. Its headquarters are in Los Angeles, California. CO-OP Financial Services is a nationwide credit union network supporting their members with industry-leading ATM, digital payment, security, and marketing services. Aerohive Networks is an American multinational computer networking equipment company headquartered in Milpitas, California, with 17 additional offices worldwide. The company was founded in 2006 and provides wireless networking to medium-sized and larger businesses. Jerry Leigh of California, Inc. designs and manufactures apparel for adults, kids, infants, toddlers, girls, men, and women. Its products include fleece, sleep wear, shorts, lounge wear, and fashion apparel. The company also provides accessories, such as head wear, foot wear, totes/bags, towels, picture frames, drink ware, toothpick holders, key chains, collector pins, ponchos, and namedrop accessories. It offers its products online and through retailers in the United States and internationally. The company was founded in 1962 and is based in Van Nuys, California with production facilities in Los Angeles, California; New York, New York; Orlando, Florida; Guatemala; Ensenada, Mexico; and Shanghai, China. Super Micro Computer, Inc, doing business as Supermicro, is a Taiwanese-American founded information technology company based in San Jose, California. MobileIron Inc. is an American software company specializing in solutions for mobile device management and enterprise mobility management.